At Brandmint, we offer an array of digital marketing tools to help your business succeed and increase your bottom line in a modern economy. Take a look at the below strategies and learn more by speaking to a rep.
We provide four Social Media Marketing products. These products help to build your brand by targeting potential customers in an noninvasive way. Through outlets, such as Facebook and Instagram, your company can connect with your target market with custom content the same way they interact with their friends. If you are a new company or are well establish, but are looking to expand your reach, try our Creative Ad Campaign, a long-term digital ad ran across Facebook and Instagram. The Creative Ad Campaign helps to build brand awareness by engaging with a new audience outside your current followers and allows for a clear, clickable call-to-action. So, your company is already established and you have a solid following on social media. Great! Keep your current followers engaged with Facebook Post Campaign. These monthly posts appear on their newsfeed and remind customers of upcoming sales, specials, or simply to stop by. Looking to gain the attention of an emerging, younger market? Show your customers some love with our Instagram Interaction Campaign! Increase your followers and build brand loyalty by having our team comment, like, and follow your targeted audience on your behalf based on location and hashtags. Let us redisplay your ads to your unique website visitors! When someone first comes to your website their IP address is tracked. When they leave your site and browse elsewhere, your retargeting ads are shown to them on other websites. These ads will help bring your users back to your website! Let's take it a step further. If you want the user to not only visit your website again, but take a specific action on your website (make a purchase, fill out a form, etc.) we can drive the user back to your site and track each conversion. Like retargeting, we are able to track the users IP address which allows us to show them an ad. That ad gets delivered to the user and prompts them to go back to the site and take the specified action. Over 80% of people search the web before making a purchasing decision. If you are relying on third-party platforms for your search engine rankings, you are losing a huge chunk of your market and you have little control about what is being said about your business. You want consumers to have a clear path in finding your business online and be able to portray your business how you see fit; not how some disgruntled customer describes it on Yelp. Show your business off with an easy to navigate, five page informational site. Our Website New Build allows your business to have the online presence it deserves. So, you already have a website that you hate. Your business has evolved a lot over the past few years and so should your site. 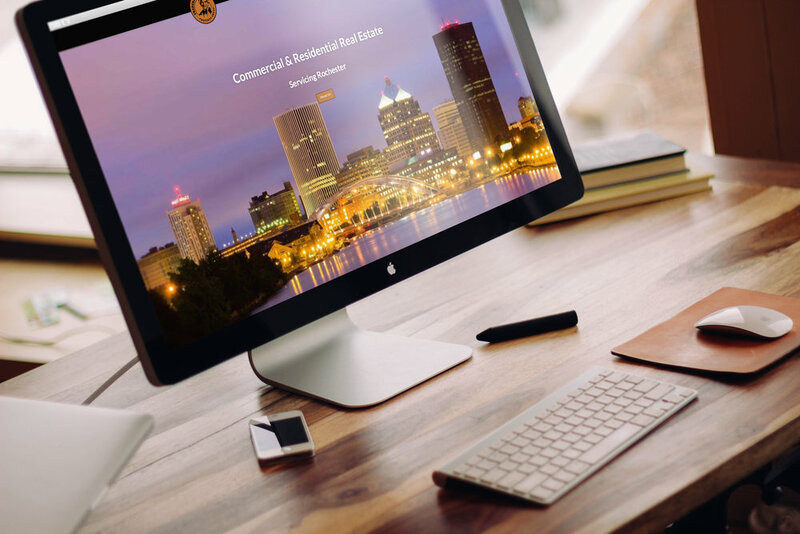 With our Website Rebuild we create a new site with existing content that allows for responsive design that works across all devices, is user friendly, and includes baseline SEO to help rank your business amongst popular search engines. Once your website is up-to-date you will probably want to keep it that way. We offer maintenance and editing plans that can fit your schedule and more importantly, your budget. Take a minute and Google your business. Pretend you're a new customer looking for a particular type business. What would they search? Now, look for your business in the search results. Are you on page one, two, are you too tired to keep scrolling? The majority of people don't go beyond the first page of search results. Boost your company's rankings and increase brand exposure with Search Engine Optimization. This product is exclusively to Brandmint customers who built or re-built their website with us (Aren't you lucky?). Transform your marketing strategy and learn the tools from the experts with Private Consulting from Brandmint. Our workshops are tailored to your business' industry, size, and budget. We will work to build your Digital Marketing plan, modernize your Brand Strategy, and elevate your business by educating your team.